The fifth speed gear functions as an overdrive gear. 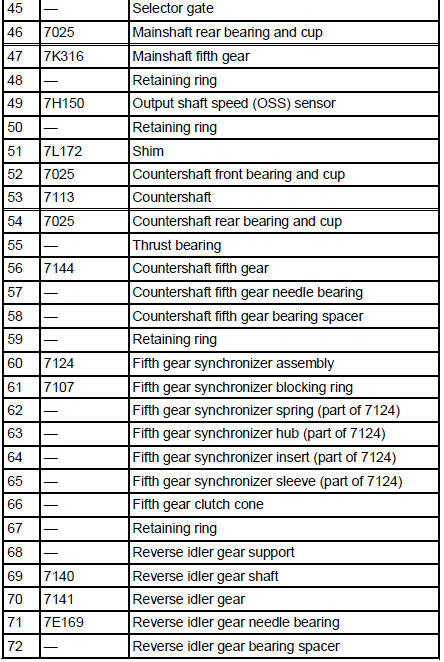 The forward gears are synchronized and helical cut. The reverse gear operates through a constant-mesh, fully synchronized system. The shift interlock system prevents the engagement of more than one gear. 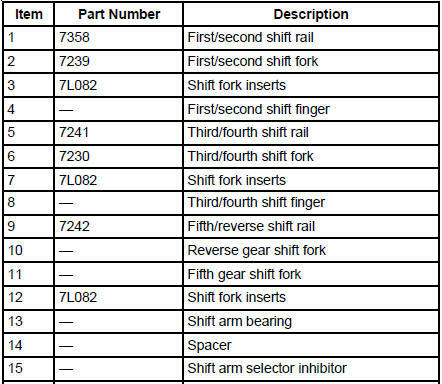 The countershaft is serviced as an assembly. An aluminum main case, extension housing and bell housing. 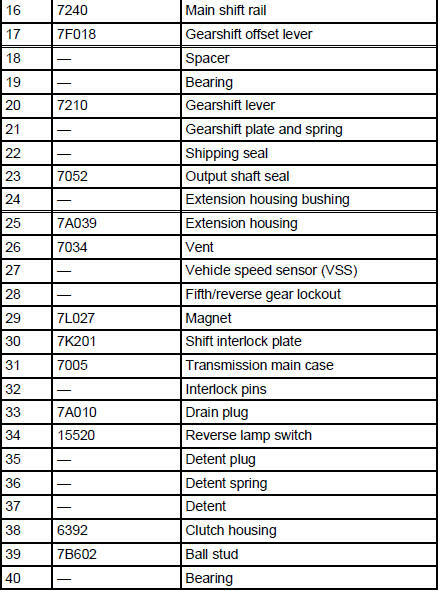 The transmission identification tag is located under the lower bolt that retains the extension housing to the main case. 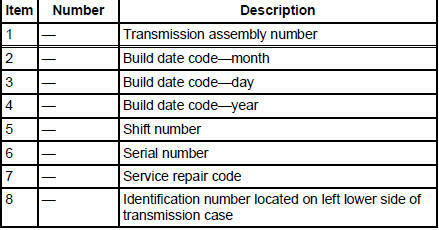 The five speed overdrive (TR3650) transmission is available for the Mustang 4.6L (2V).